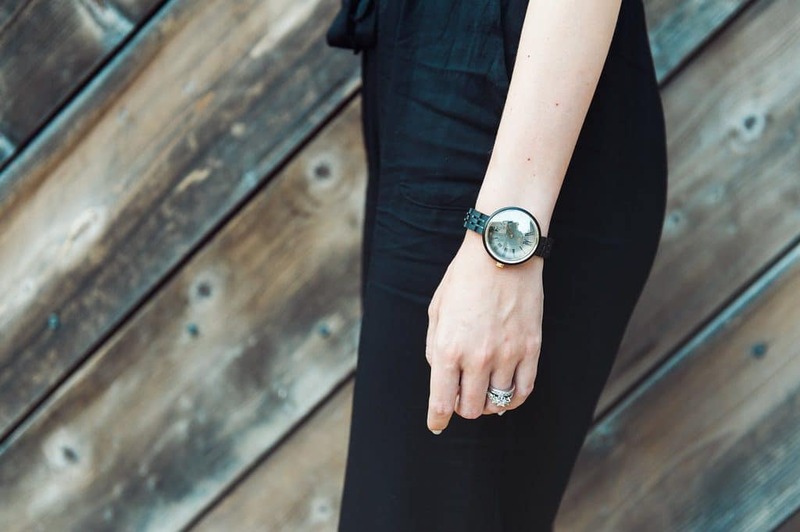 Watches are one of those accessories that are…well…timeless. 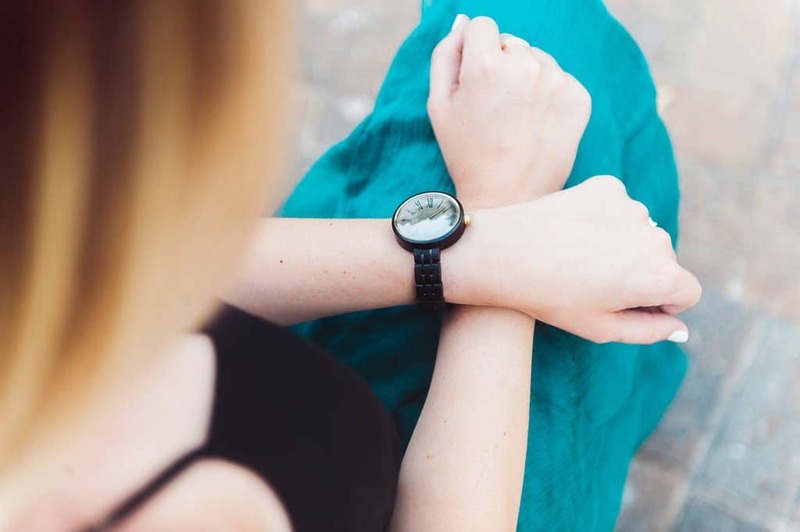 (No pun intended 😉) Women’s watch styles may change, but there’s a style for everyone for any time. 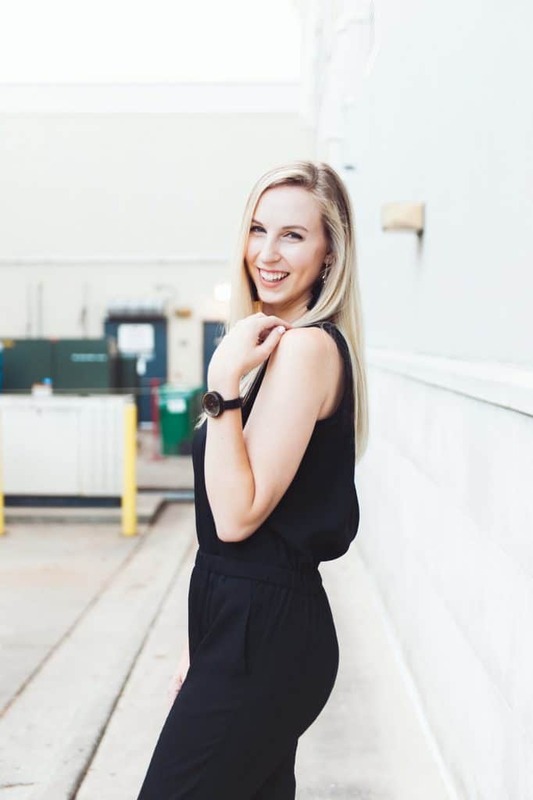 Whether you like a large face and a small gold band, a wooden watch with that earthy look, or a small dainty face and band for more of a bracelet look, you’re still wearing watches. 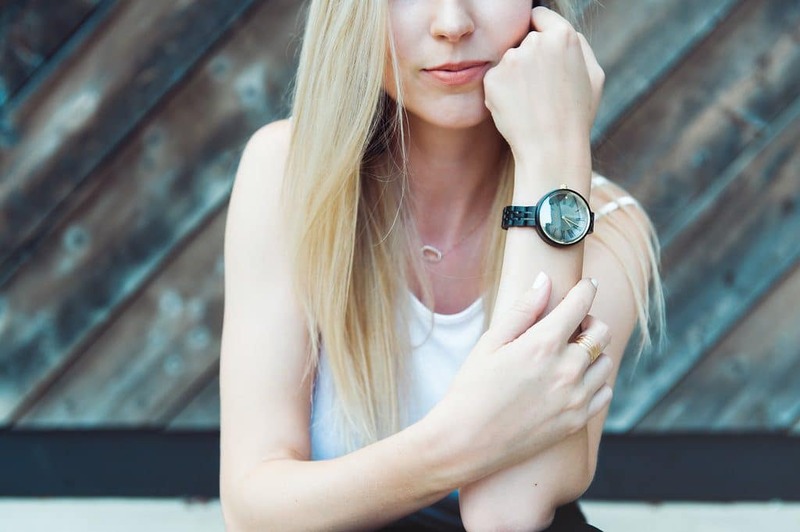 We may have phones to tell us the time, but people are still using watches as a major accessory to their look because it’s always been about the watch itself. 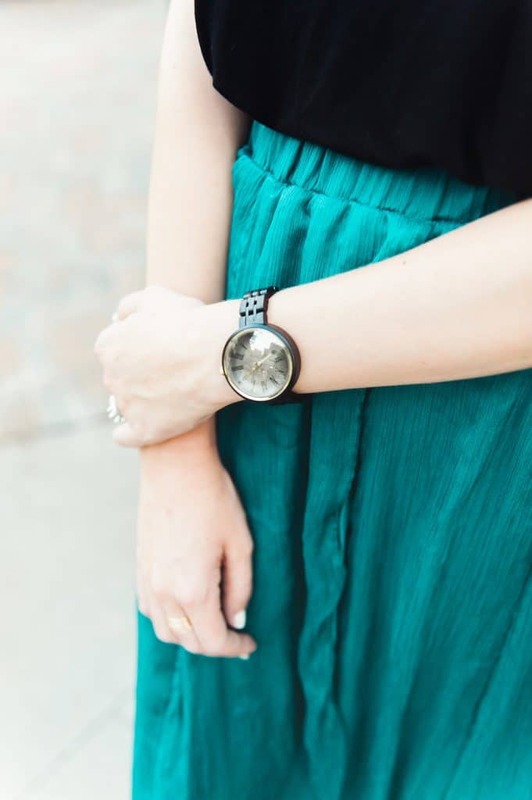 I never used to wear a watch until my husband and I started dating. He was the one that turned me on to them, as he loves watches probably more than I love shoes (and that’s a LOT). While he has about 12 watches – and counting – I have only about 3-4 styles that I rotate through. However, I didn’t realize how much I needed a black watch until JORD sent me my CASSIA series Ebony & Sable wooden watch. Yes, it’s wooden! And it might be my most versatile watch yet. 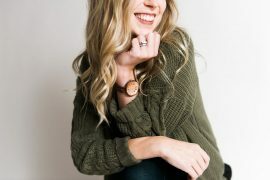 Wooden watches are so beautiful and unique, and JORD carries both men’s and women’s watches of all different styles. I personally love the large face with a skinny band for that masculine-meets-feminine look. 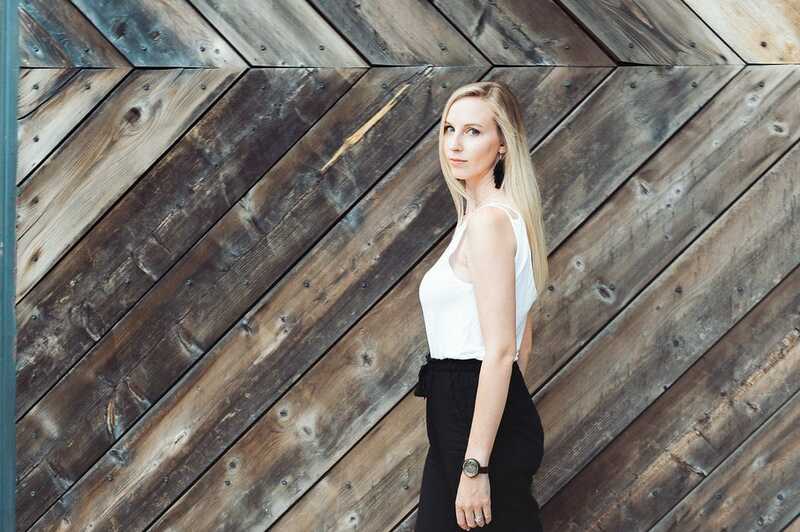 It is so easy to dress up or down, and today I’m going to give you some ideas on how to take your watch style from day to night. 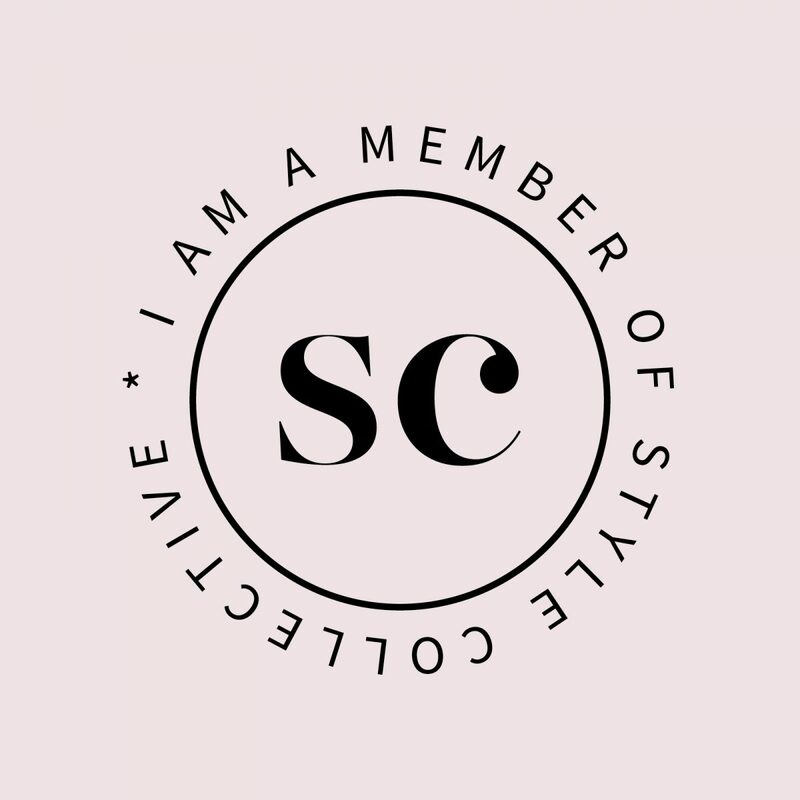 This post contains affiliate links, meaning I get a small commission if you make a purchase through my links. However, opinions are 100% my own, 100% of the time. Read more here. 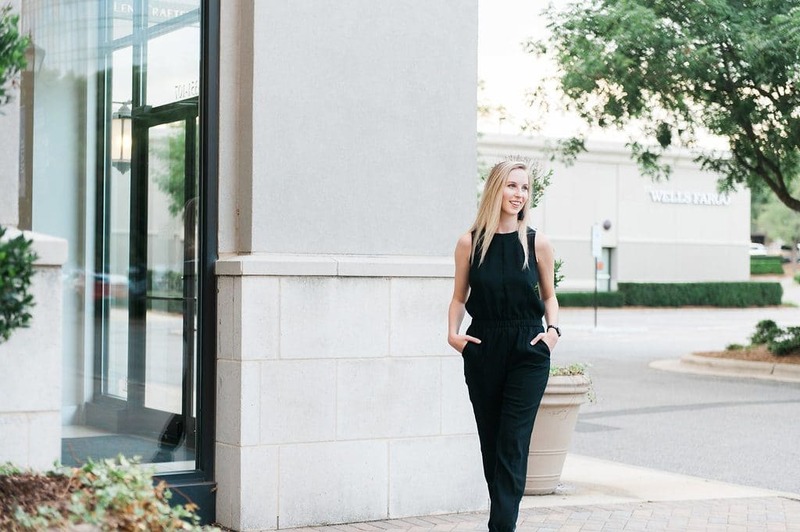 My new go-to casual article this summer is my pair of black jogger pants. Even though they are pants, the fabric is light enough to keep me cool during these hot and humid North Carolina summer days. And guys, it’s HOT. 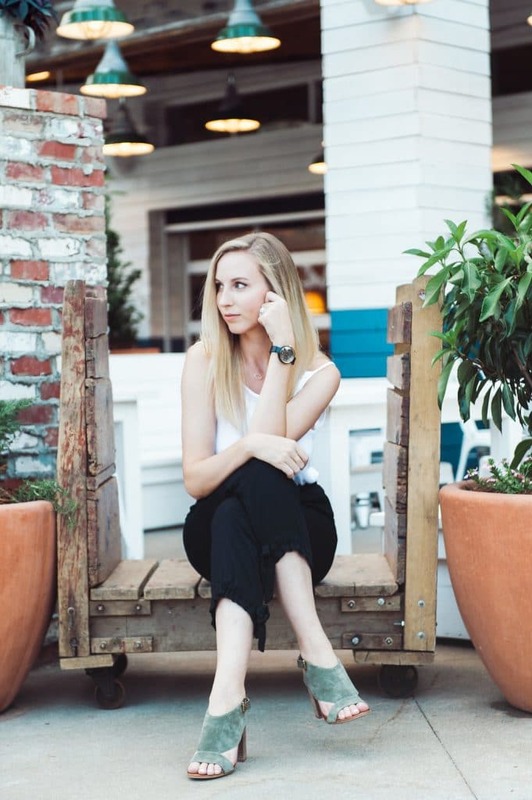 Here, I wore the watch with my comfy black joggers from Lulus, a simple but stylish white tank from ASOS, and dressed them up just a touch with my favorite green SARTO by Franco Sarto heels. 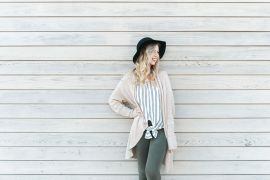 I also like to pair them with a pair of black strappy flat sandals (seen in the next outfit) to keep the outfit just that much more comfy and casual. I do love going simple with black and white, but it’s always fun to add in a pop of color. 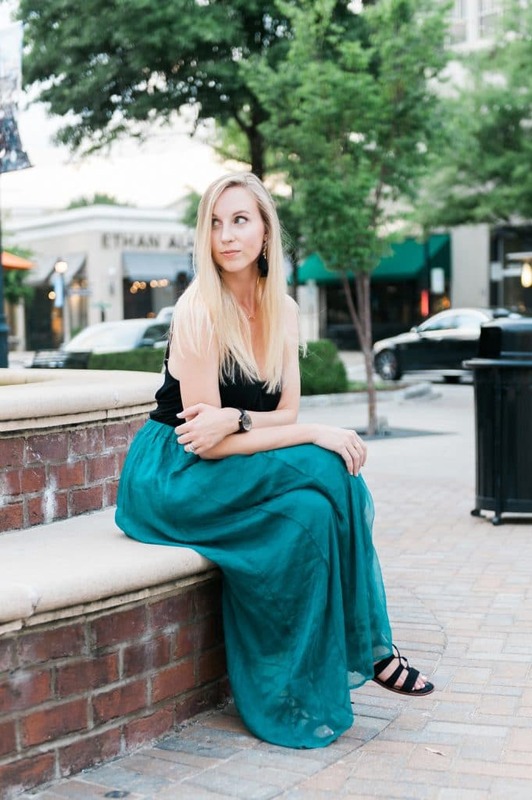 I love this emerald green maxi skirt from my most recent Stitch Fix box. 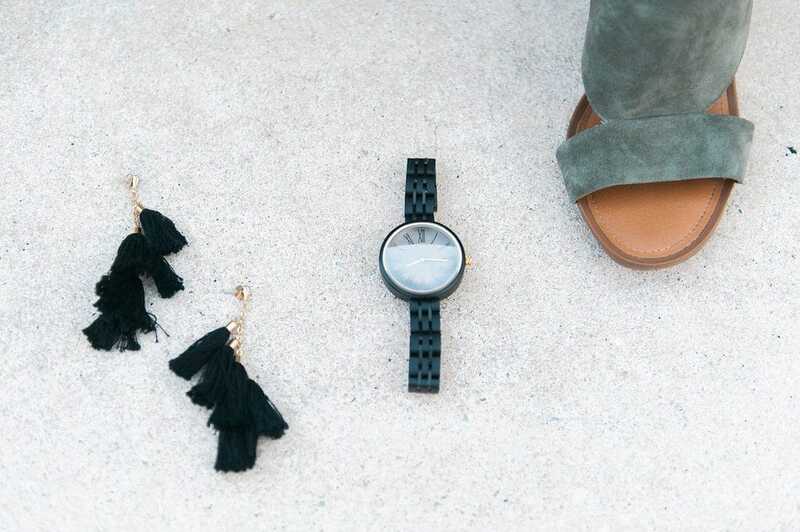 It adds the perfect contrast to the black watch, especially when paired with a comfy black tank. The shoes I’m wearing are Vince Camuto and are my favorite staple sandals. I promise you guys that I love colors. But I also LOVE black-on-black styles. 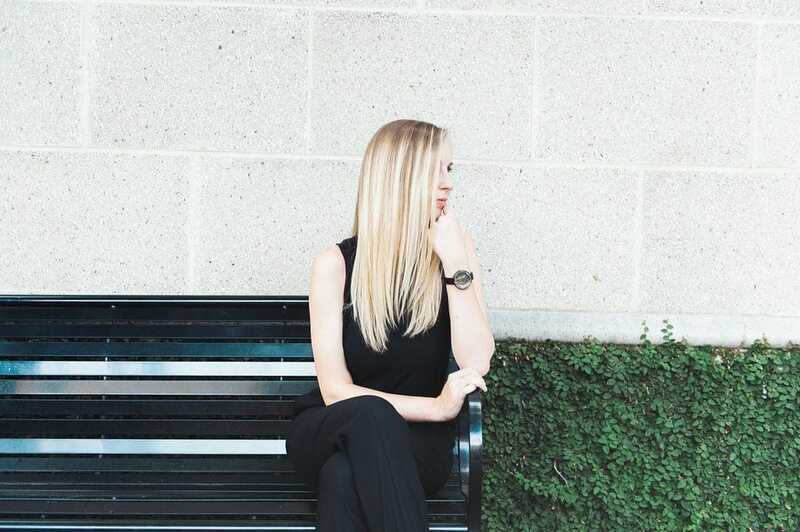 You can wear (almost) anything black-on-black to give yourself an instant classy look. 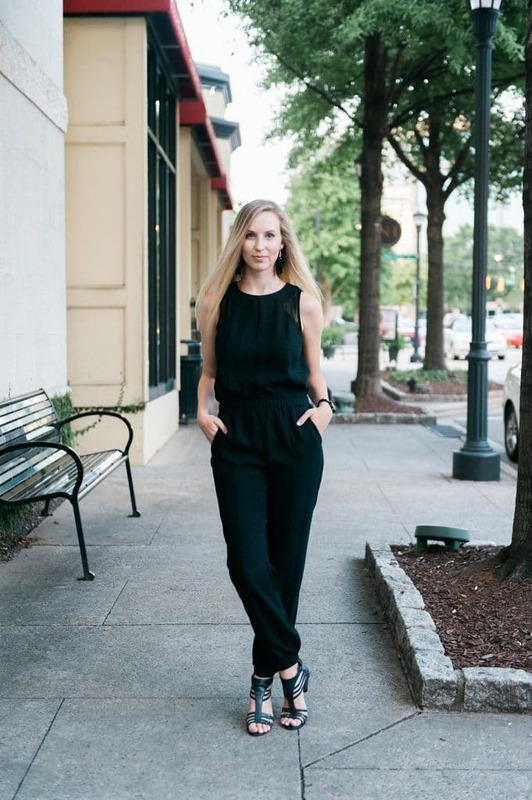 I also love jumpsuits, so this is one of my all-time favorite effortless styles. With the exception of my wedding rings, I try to stick to the same metal tone that the watch features in my accessories. 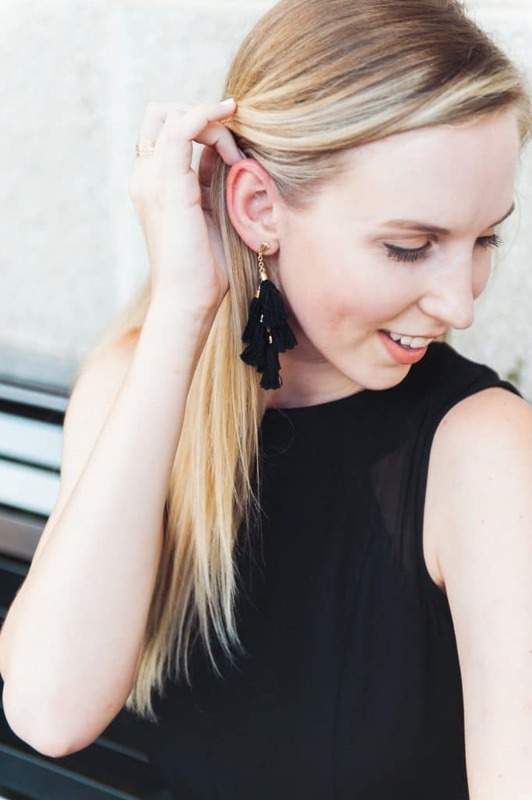 These black and gold tassel earrings from my Spring Editorial FabFitFun box were the perfect addition to my black watch. You can also see in this picture that I paired my new Go Ring with my watch as well, along with a classic Kendra Scott necklace (you can never go wrong with KS!) I personally don’t wear that many rings at one time, but I love when people pair their watches with several rings of the same color tone/family that is found in the watch. For those of you that are living in the future and only wear your Apple Watch, JORD carries wooden Apple Watch Bands! They are SO nice and I definitely want to get one for my Apple Watch. 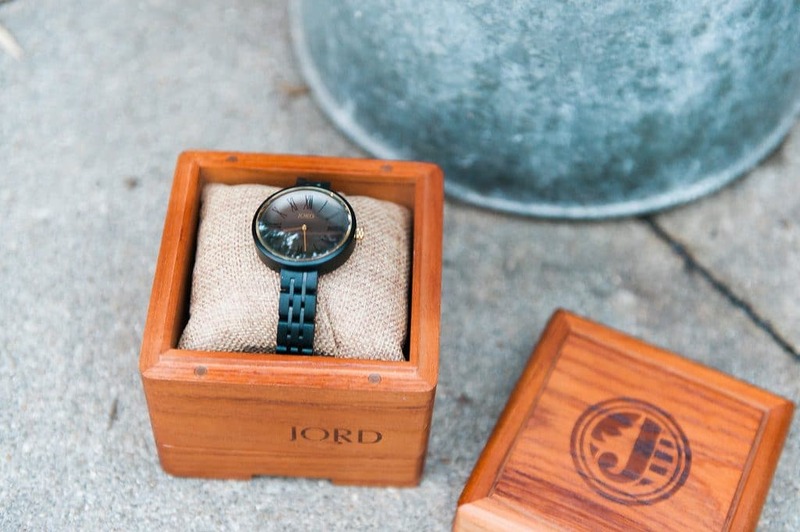 JORD Watches are also a great unique gift for that special someone. To add that extra character, they offer beautiful custom engraving options for your wooden watch! 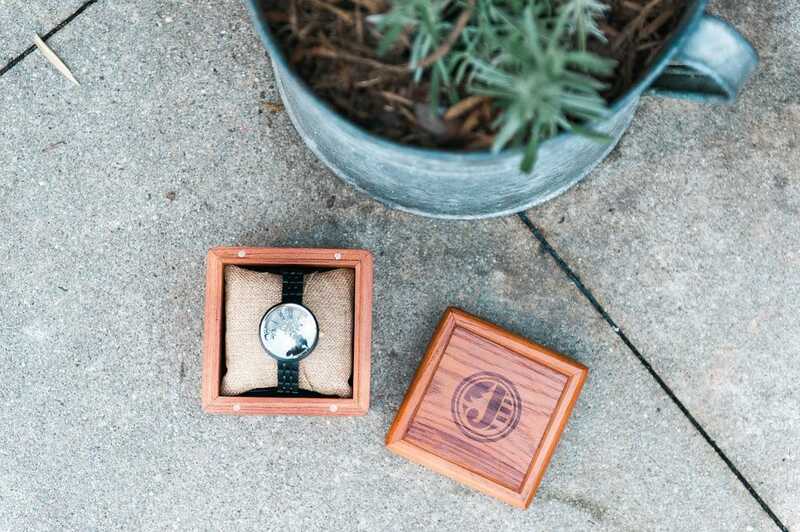 You can even choose to engrave the watch itself or the box it comes in – which is almost as awesome as the watch itself! Dying to have one of these of your own? 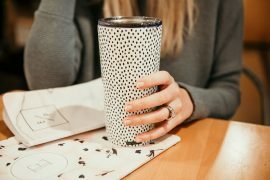 Today, I’m giving you the chance to win a $100 gift card to JORD! Entering is SO easy, and you don’t even need an Instagram account to enter this one (although it helps). All you have to do is go to this page, fill out your name and email, tell them which watch is your favorite (if you like mine, it’s the CASSIA series Ebony & Sable), and submit! Don’t forget to follow them on Instagram for more chances to win! Contest ends on 7/29/18 at 11:59 pm! Their watches are beautiful! I love the way you styled yours. Aren’t they?! I love the fact that they are wooden, too. It really sets them apart. Thank you!! 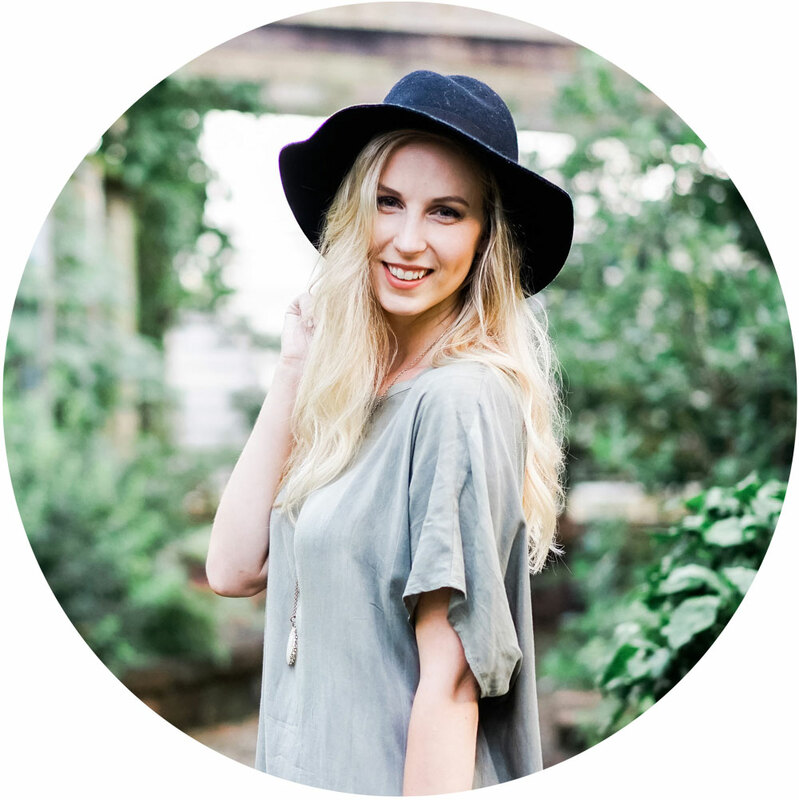 You’re blog is looking AMAZING GIRL ! 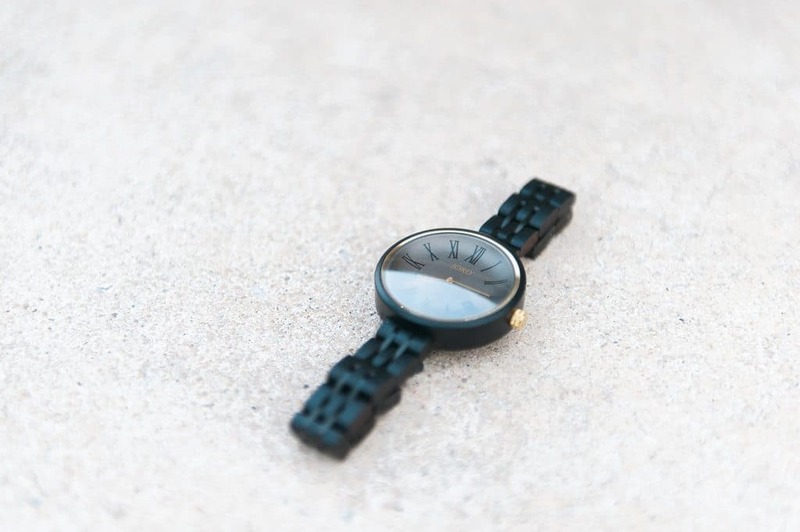 & these watches are beautiful love your articles- would love to see some early fall previews next month if you’ve got any or more updates on sales !!! Hope to meet up soon <3! Omg so beautifullll!! Love these watches! I’ve been needing a new watch and might need to check this out! This watch is so nice! I would love to win it!!! I like how you paired it with with the tassel earrings and outfit! Thank you! It’s such a classic piece! 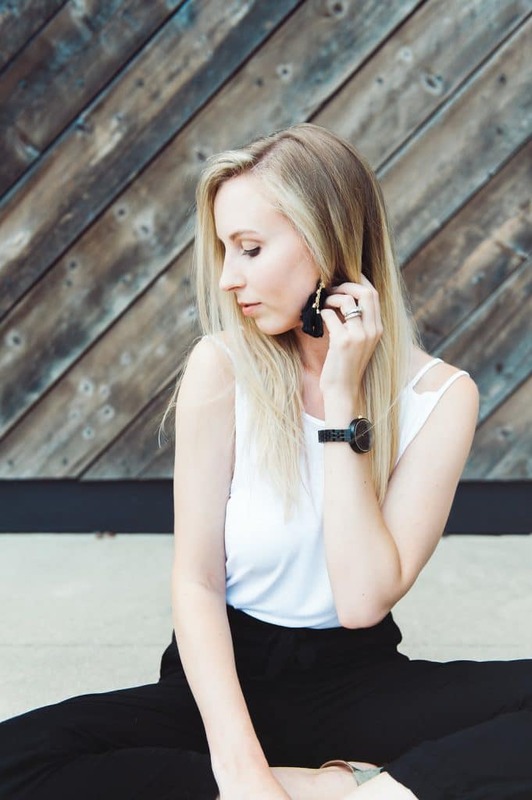 I love the wooden watch trend and how you styled it.